When you choose a Beneteau, you benefit from expertise second to none. From R&D to industrialisation, the brand and the group have been working for over 130 years to build innovative, reliable and competitive boats. For over 130 years, BENETEAU has been searching for increasingly innovative solutions to develop high performing, robust and environmentally friendly boats for a wide public. Pioneers in the use and implementation of new materials, the R&D engineers and technicians work towards continuous progress and improvement. They develop technology that meets the increasing demands of design, practicality and quality. Since the structure of boats is constantly subjected to external stresses, it is of huge strategical importance to have expertise in composites as well as their implementation. In often complicated assemblies, materials must have a number of intrinsic qualities and maintain them, to stand the test of time in very varied environments. The group has a laboratory that carries out in-depth tests to achieve irreproachable quality. Beneteau has unique experience combined with own-developed structural engineering tools and this has made it a leader in this field. Excelling in the distribution of material, they can build boats that are both light and strong. From the launch of a new project at the design office into the delivery of its boats, Beneteau depends on an intelligent life-cycle management solution (Product Lifecycle Management), which enables them to manage complicated processes. A unique and secure source of information shared by all the players considerably increases the company’s performance enabling it to develop and build its ever more reliable and competitive boats within a short timeframe. By coordinating the work of all the teams involved in the design and manufacturing line, the simultaneous modelling of complex surfaces, the optimisation of composite parts, the management of space, and the definition of equipment and fittings on board the boat can be achieved with PLM combined with CAD (Computer-Aided Design) and CAM (Computer-Aided Manufacturing) tools. Generations of men and women, with a love of wood and work well done, have succeeded each other at Beneteau’s cabinetmaking workshop, for nearly 40 years. With modernity and rigour they have turned a craft-based organisation into an industrial organisation, while preserving the trade’s nobility and their broad expertise. Tables and doors, companionway steps and furniture, fiddles and other decorative pieces are formed, stained and polished in the 27,000 m² cabinetmaking workshop, bestowing the interior of each boat with nobility and elegance. Focussed on offering a wide choice to customers of the brand, Beneteau’s cabinetmaking workshop has been reorganised in recent years to offer several different wood types by boat model and to develop new finishes (closed pore, open pore, high-gloss, lacquers, brushed words, soft touch, etc.) The workshop located in Vendée is well-known for its age-old know-how in the manufacture of plywood and solid woods, as well as in the making of moulded wood, and it supplies the Beneteau production sites, including the United States. Today it is the biggest cabinetmaking centre in Europe. 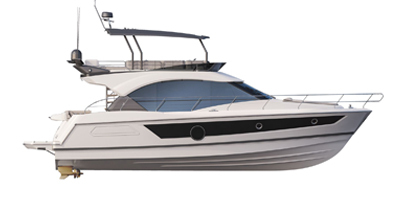 Beneteau has a continuous quality improvement dynamic for its products and processes, with the goal of doing everything possible to guarantee their owners confidence and peace of mind. With the aim of keeping control of its capacity to deliver boats complying with very strict quality standards, Beneteau obtained ISO 9001 certification, in 2003, and this is reassessed successfully every year by an independent organisation. This has meant that the development of new models, purchases, industrial manufacture and respecting deadlines have all been the subject of procedures and methodical inspection. Based on the principles of lean manufacturing, the continuous improvement approach is very pragmatic and involves all the company’s staff. The environmental policy implemented by Beneteau is based on two major challenges: the reduction of the impact of boatbuilding and reducing the ecological footprint of their boats. Among the pioneers in this field, Beneteau was awarded ISO 50001 certification in 2015, demonstrating that it has taken all possible measures to manage energy and even reduce greenhouse gas emissions and decrease costs. With geothermal heating and a glazed façade as well as a photovoltaic shading-glazed canopy, the new brand headquarters, inaugurated in 2014, is a remarkable building in this regard. Beneteau has also invested heavily in its industrial tool with the goal of reducing the emission of pollutants in the atmosphere (VOCs). The recent composite transformation workshop chiefly houses non-emissive transformation processes. Beneteau is also working to reduce the creation of waste (packaging, cut optimisation, scrap) and to increase the amount of recycling through the implementation of a waste control process.